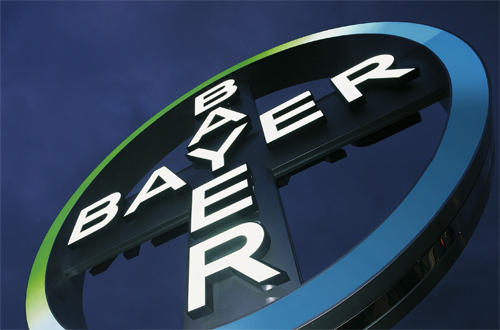 Bayer has called a halt to a trial of its riociguat drug in patients with pulmonary hypertension associated with a group of lung diseases, following the advice its advisory committee. The trial involved patients with pulmonary hypertension secondary to idiopathic interstitial pneumonia, (IIP) a family of lung diseases characterised by inflammation and fibrosis that vary in severity but can in some cases be life-threatening. The data monitoring committee (DMC) for the study recommended that the trial be terminated after a higher death rate was seen in the riociguat-treated group compared to patients receiving placebo. In a statement, Bayer noted that IIP patients with pulmonary hypertension are at very high risk, and there is a desperate need for effective therapies as the mortality rate for this group stands at around 20% a year and there are no approved therapies. "The DMC did not identify any specific cause or common feature among the patients who died except that many appeared to have more serious and advanced underlying lung disease than the study population as a whole," said Bayer. "The patients in this trial will be continuously monitored for safety immediately after stopping treatment and for a period of at least four months." Given that riociguat is already sold as Adempas as a treatment for inoperable chronic thromboembolic pulmonary hypertension (CTEPH) or persistent or recurrent CTEPH after surgery, as well as for pulmonary arterial hypertension (PAH), Bayer was quick to stress there is no indication the drug may be unsafe in its approved uses. "The positive benefit-risk profile of riociguat in its approved indications based on a large, controlled clinical database and supported by the available post-market pharmacovigilance information remains unchanged," it said, adding: "Bayer is closely monitoring the safety and efficacy of riociguat on an ongoing basis." Bayer booked Adempas sales of around €180m last year, and it grew strongly to €56m in the first quarter of 2016. It has been predicted to become a €500m-plus product at peak.